Probiotics, the "beneficial bacteria," have become increasingly popular over the last few years due to multiple studies highlighting the health benefits of these living microorganisms. In fact, a recent Yale University study concluded that probiotics work effectively for those with ulcerative colitis, infectious diarrhea, IBS, and eczema. The bacteria in the digestive tract are constantly under assault from poor food choices, alcohol and frequent antibiotic use. One way to replenish this is by adding a probiotic supplement to your diet. With various options, choosing the right brand and bacteria count can be tricky. If you are looking for a serious probiotic supplement for women, look no further than RAW Probiotics Women 50 & Wiser. Garden of Life offers the highest culture amount available in any supplement; the formula contains 33 different probiotic strains and 85 billion live cultures. For all of those who are extremely health conscious, this supplement is raw, gluten-free, contains no soy allergens, no fillers, binders or carriers. The Garden of Life RAW Probiotics supplement was recognized in 2013 by ConsumerLab, one of the largest vitamin research and survey companies, as the #1 Probiotic Blend based on customer satisfaction. A bottle of 90 capsules retails for around $30. This supplement, touted by leading health publisher Healthy Directions as one of the Top Quality Supplements, delivers two billion live bacteria to every part of the digestive tract by way of a patented "BIO-tract" delivery system. 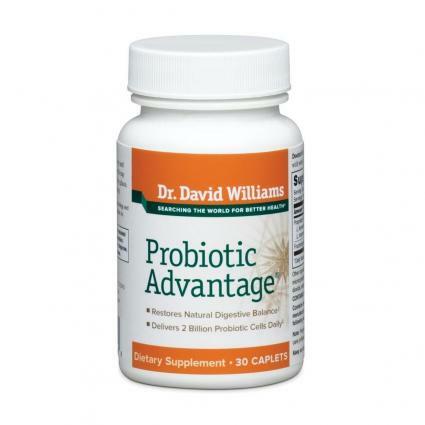 Because stomach acids have a tendency to kill live probiotics contained within supplements before they make it to the intestinal tract (where they are needed), Probiotic Advantage is designed to release over an eight hour period, ensuring the "good bacteria" get to their proper location. 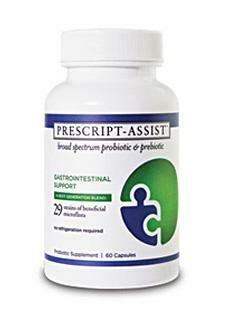 A 30-day supply of Probiotic Advantage is about $25. Containing eight clinically documented bacteria strains, this gluten-free supplement holds five billion probiotic organisms in each capsule. The Eps formula allows this product to maintain its stability at room temperature, making it the perfect option for traveling (when refrigerator access can be tricky). Sold by Jarrow, this supplement is considered one of the best-sellers on Amazon and has close to a 5-star rating. This supplement has been recognized by many magazines, including Vitamin Retailers Magazine as a "2012 Best New Product" and by Whole Foods Magazine as a runner-up in the Full Line Supplements Category. A 120-capsule bottle sells for about $28. This probiotic supplement, designed by renowned microbiologist Dr. Ohhira, not only contains 12 strains of bacteria fermented for three years, but also adds fermented vegetables, seaweed, mushrooms and fruits to the formula. Unlike many other products on the market, Dr. Ohhira's mission was to design a complete probiotic system that included enzymes, micro-nutrients and organic acids in addition to the probiotics. Dr. Ohhira's Probiotics were recognized by Better Nutrition magazine for three years in a row as "Best Supplement" in the Probiotic category. A bottle of 60 capsules sells for about $38 on Amazon. Long-term clinical studies show that Prescript Assist is proven to work against IBS, bacterial diarrhea and many other gastrointestinal issues. Prescript Assist prides itself for being the only probiotic on the market that sporulates other probiotic microorganisms, helping your body assimilate nutrients better when digesting foods. This supplement contains a broad spectrum of 65 million units of soil-based microorganisms. This supplement is recognized by the National Institute of Health as a probiotic that can significantly reduce symptoms of IBS, indigestion and colitis. A 60-capsule bottle is about $50. One of the most popular probiotic formulas on the market, Enzymatic Pearls offer a powerful punch -five billion probiotics to be exact- in an extremely small, pearl-sized capsule. This supplement boasts a ten-times greater survival rate when traveling to the small intestines, compared to other similar products. This high potency formula requires no refrigeration and is available through Enzymatic's Amazon channel for $20.00 (30 pearl package). Enzymatic has received a host of awards from various outlets, including Better Nutrition magazine, Vitamin Retailer magazine, Families in Good Company, and more. For those who have difficulty swallowing capsules and tablets, Schiff's probiotic gummies are the perfect alternative. This formula claims to have a 10X better survivability versus the bacteria in yogurt and also contains 500 million bacteria per adult serving. Receiving close to a five star rating, you can purchase a 120 gummy pack through Schiff's Amazon store for $23.99 by clicking here. Many studies and nutritionists recommend that probiotic supplementation be built up over time, starting out with small doses and gradually increasing. For those with specific gastrointestinal issues, clinical studies and real-life patients note seeing improvement in symptoms within days. With so many incredible supplements on the market, it is easy to add this "good bacteria" into your daily regimen and begin on the road to better digestive health.